Managed pubs are showing the most dynamic growth in the UK’s foodservice sector according to a new report by Horizons. The growth is the result of keen pricing, effective marketing and a broadening of their offering to appeal to a wider audience. The report from the foodservice research specialist says that managed pub restaurants now hold a 22% share of the UK’s popular eating out market up from 18% in 2008 and Horizons expects this share to rise to 26% by 2016. 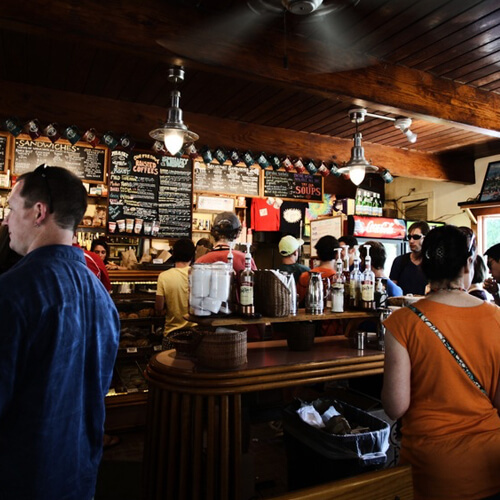 The managed pub restaurant sector consists of almost 17,000 pubs and has combined food and associated beverage sales worth £4.8bn in 2012, 39% of their total sales. Leading operators include Mitchells & Butlers, JD Wetherspoon, Whitbread, Greene King, Spirit and Marston’s. The sector has been able to increase its share of food sales by successfully adjusting to changing consumer demand. Breakfast, for example, has become a growing revenue stream, accounting for 6% of all managed pub meals, with sales now worth £280m a year. Sales of midday meals – both weekdays and weekends – have also increased substantially, growing in value from £855m in 2006 to almost £1.5bn in 2012. “Consumers are choosing to eat in pub restaurants over other types of restaurant and this trend is likely to continue over the next few years. Managed pubs are doing a brilliant job at appealing to today’s consumer by being flexible in their offer and price sensitive,” commented Horizons’ managing director Peter Backman.